This comes after the South American country became the first in the world to legalize the production, distribution and consumption of the psychoactive drug in December 2013. Consumers are now allowed to buy a limited amount each month from licensed pharmacies as long as they are residents; over the age of 18; and registered on a government database that monitors monthly purchases. The project will assess the impact of marijuana’s legalization on attitudes and norms regarding production, distribution and consumption. It will also explore the characteristics of typical consumers and detect potential change in the profiles of consumers as a result of policy change. 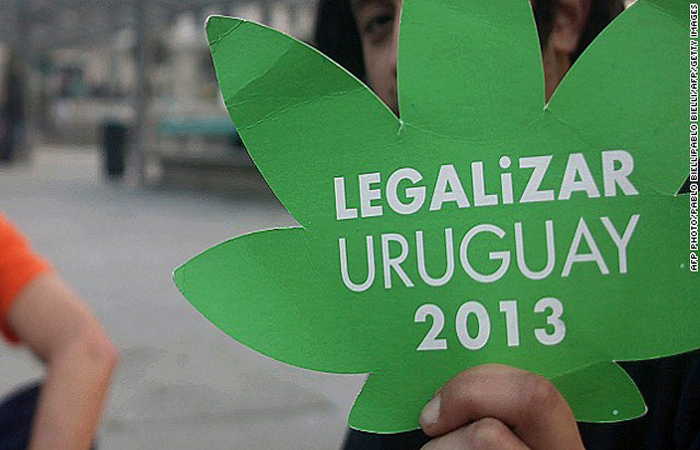 According to Cruz, Uruguay is one of the most stable and safest countries in Latin America. However, in the past 10 years, an increase in the number of violent acts perpetrated by drug users, combined with an influx of foreign cocaine and marijuana, prompted officials to pass the bill in an effort to tackle the potential problems arising from the expansion of illegal drug markets. The project is funded by the Open Society Foundations. Good! I’m glad this university is taking the time to research the effects of legalizing marijuana.